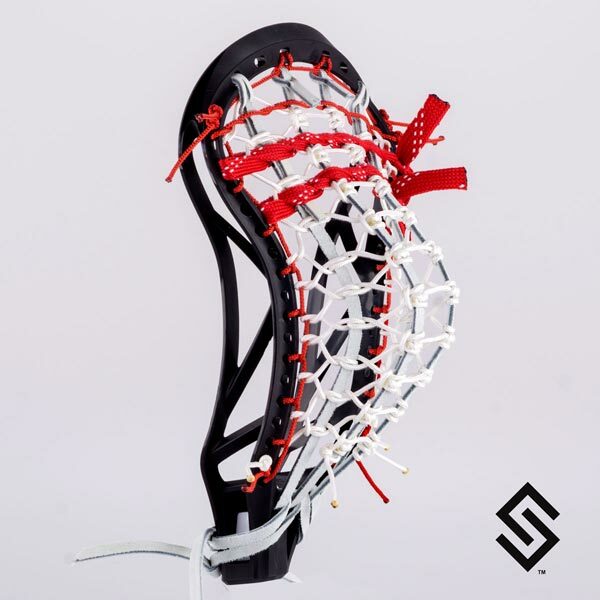 The Men's Ladder Lacrosse Pocket is HERE! The Men's Ladder has the best hold of any pocket stringing style available. This hand made center channel is a step above anything else in the game. This is nothing like you've seen before! BAG - Unique Fluid Positioning System. Low when cradling with quick middle placement for shooting. PARALLELED CHANNEL - Consistently parallel handmade center channel to reduce friction and increase accuracy. MOD-RS - STYLIN' STRINGS Modular Repair System allows us to repair your Paralleled Ladder Channel crosslace with ease. Each Paralleled Ladder Channel is covered under a 6 Month Repair Warranty. String that attaches the Trakker and leathers runners to the top lip of the head. Weaved hockey lace used to adjust the whip and the release of the ball.